Credit to image used in pin goes to Kim Ahlstrom and Vikramjit Kakati. – Changes were made to the original image. So you probably already know what food you should and shouldn’t eat while on the Keto diet. But knowing what you can and can’t drink is important too. So to help you out, I’ve gathered some drinks that you should never have on the Keto diet. These are beverages that’ll mess up your diet plan and contribute to weight gain. This list will help you to make the right choices and get you toward your fitness goals. So check them out and feel free to let me know what you think in the comments down below! However, you simply can’t drink skim milk on the Keto diet. Skim milk just isn’t keto friendly. Why? The fat content of skim milk in the USA is 0.5 grams or lower (Source) and it contains around 80 calories per cup (240ml). But the problem is is that skim milk still contains around 12 grams of sugar. This is actually the same amount of sugar as whole milk. Thus the ratio between fat and sugar is a lot more unbalanced in skimmed milk making it an inefficient and poor choice of drink for your Keto diet. Even the low fat 1% milk that contains 0.5 – 2.6 grams of fat (Source) has this sugar count, making it a bad choice. Though milkshakes are delicious, they’re usually made with whipped cream, milk and ice cream packed with carbs and sugars that are the kryptonite to any Keto diet. So make sure to stay away from these sweet desserts while on the Keto diet. But if you MUST drink milkshakes then make them with almond milk, coconut milk or even full-fat milk (as long as you leave the rest of the milkshake unsweetened). Tip: Can You Drink Milk on Keto? As I mentioned just above, you can still technically drink milk on Keto, but only if you do it wisely. A whole cup of milk contains 12.8 grams of carbs (Source) which is about 40% of your total net carb intake allowance for one day (assuming you only eat 30 grams of carbs per day). With this knowledge, it may be best just to cut out cows milk altogether, but if you can’t stomach the idea of completely cutting out milk, you can still drink cows milk on the keto diet, but half a cup every other day may be more advisable. Other types of milks—e.g. almond, coconut, soy—are sensible substitutes for the Keto diet provided they are unsweetened. Unsweetened almond milk is probably the best milk substitute of all for Keto since it has lower sugar than coconut or soy milk at 3.43 grams per cup (Source). If you’re thinking of having a glass of wine to relax and have a good time on the weekend, then you might want to consider skipping it. Especially with sweet wines, they’re full of sugars. They’ll just slow down your weight loss and mess up your Keto diet. You have a bit more leniency with dry wines that have a lower alcohol content (e.g. 13.5% ABV) and low to zero residual sugars, e.g. Merlot or Chardonnay. But if you can go completely without, it’d probably be wiser just to skip wines completely for these reasons and more. Usually made with espresso and steamed milk, lattes are full of calories and sugar. And they aren’t going to help you get where you want to go. So instead of ordering a latte, try coffee black or with minimal almond milk. And if you love a bit of sweetness in your teas or coffees, make sure to use Keto-friendly sweeteners and pass on the sugar. While they’re called diet sodas, these drinks are something you should never have on an actual diet. They use artificial sweeteners that promote weight gain. These drinks slow down your metabolism and increase blood sugar levels, fat, and can even possibly trigger diabetes. This one sounds obvious and is somewhat a given, but it’s a common drink many like to have with a meal. While on the Keto diet, you should make sure you’re staying far away from beer. Since you’re following a low-carb diet, your glycogen will be depleted and your body will be running on the fat you have instead of the glucose you get from food and drinks. Just like with the above tip, cocktails shouldn’t be consumed for the same reasons. But cocktails are probably even worse since they tend to have a higher alcohol content and many of the added ingredients have a high sugar content like simple syrups, juices, and additives. Whether it’s from a restaurant or you get it from a convenience store, iced tea is a bad idea while on the Keto diet. This product is most likely sweetened with an artificial sweetener that will make you gain weight. So try brewing your own green tea at home and add in some freshly squeezed lemon to cut the bitterness. This will help you save money and lose weight. Sport and energy drinks contain a high amount of sugar and caffeine. While an increased caffeine-intake has been linked to an increase in ketone production (Source), the sugar packed into these drinks can lead to weight gain and cause dental problems as well. So instead, do yourself a favor and get your caffeine from black coffee or green tea. Or instead, even consider drinking a glass of ice-cold water if you’re looking to replenish your nutrients after working out. 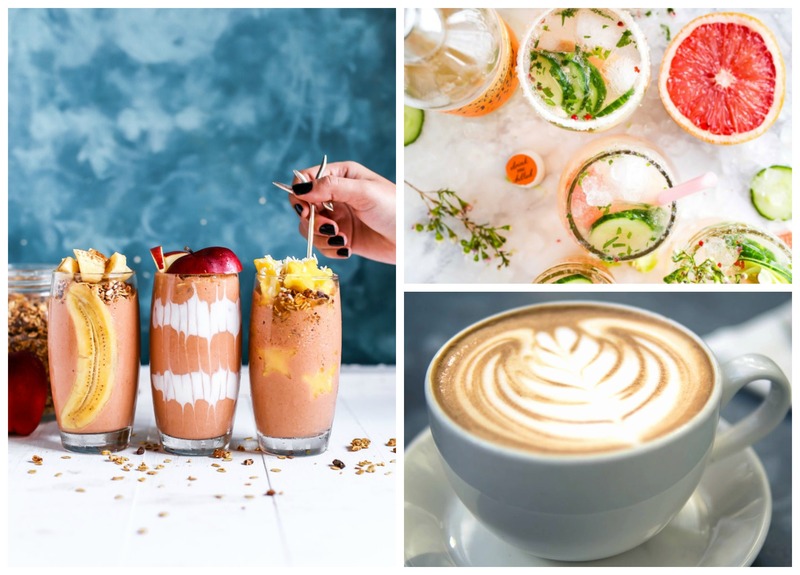 Many think that smoothies made from fruit and/or vegetables are a good drink while on the Keto diet. However, fruit in general should be eaten in small amounts since they’re high in sugar and sometimes carbs. And what makes smoothies even worse for the Keto diet is that they are essentially fruit without the fiber. That’s right…Smoothies are basically the worst parts of the fruit (in regards to the Keto diet) blended together with other things that also usually high in sugar and will potentially kick you out of ketosis. All hope is not lost, however, since there are some great keto-friendly smoothie recipes out there. Aside from focusing on the right food choices, drinks also play a huge role in the Keto diet. Some can improve your health but others are high in sugar and will only make you gain weight. So make sure to stay away from any drink on this list and you’ll be good to go!